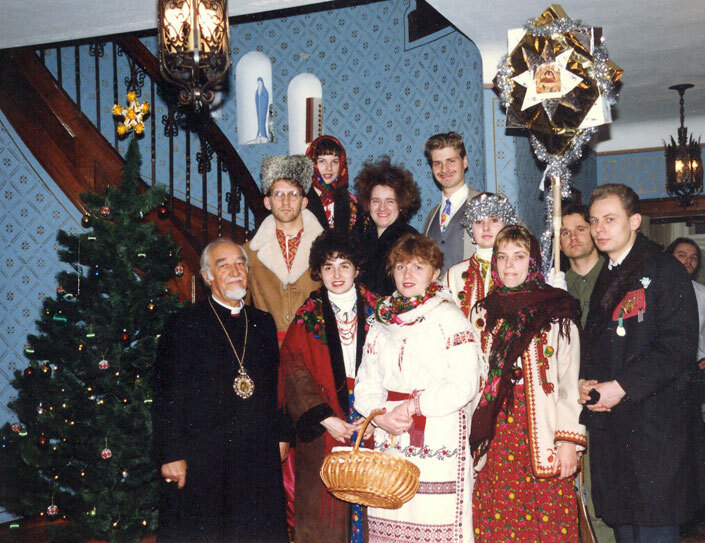 Koliada (carolling) is an old Ukrainian tradition which exemplifies a strong sense of community, a deep connection with the ancient past, and a unique interpretation of the Christmas Story. Koliada is also an ancient and magical word associated with the pre-Christian celebration of the birth of the New Sun and the Christian celebration of Christmas (Rizdvo). In pre-Christian times, late December was a time to pay tribute to the sun god Lada and to express gratitude for a bountiful harvest. When Ukrainians embraced Christianity in 988 A.D., the pagan songs were changed to extol the birth of Jesus Christ. In the days between Christmas Eve and Jordan, groups of carollers consisting of men, women, youth, children, would visit homes in their village or town. Sometimes, many groups would appear at one home to express good wishes to the master of the house, while singing carols of ancient and modern times. It was quite common to see groups of carollers carrying a home made star and a manger scene, known as a “vertep”. Some carollers would dress as angels and shepherds, performing a short skit for the families that they visited. Traditionally, the group would receive refreshments and a donation to their cause, after which the carollers would greet the family with a vinchuvannia (greeting of health and good fortune) and move on to the next house. If carolling took place immediately after Christmas, the group would sing Koliadky (Christmas carols). 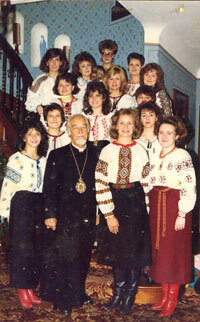 Koliadky are of Christian origin and glorify the birth of Jesus Christ. If carolling took place between New Year’s Eve and the Feast of Jordan, the groups would sing Schedrivky . The latter are New Year’s Songs which are replete with words and phrases that invoke prosperity, health and good fortune. Koliada is a vibrant expression of our heritage, which continues to cast its magical spell on us from year to year.